Our card kits are the talk of the town, and we LOVE your enthusiasm for creating with them! If you miss a card kit, the individual stamp sets and Die-namics appear as part of our release approximately six weeks after the card kit drops. If you've been waiting for the pieces from the Twice the Wishes Card Kit to be available, you are in LUCK. They are part of the September release which will be available for purchase HERE at 10 pm EDT, tomorrow, September 6th! 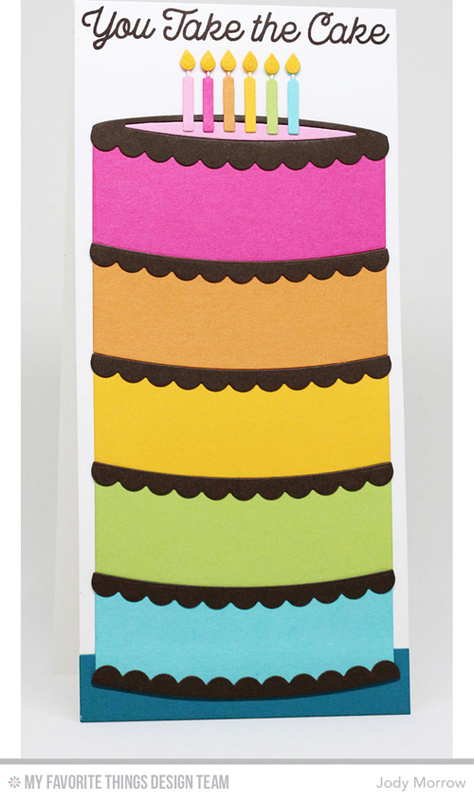 We want to whet your appetite for making an Interactive Birthday Cake! Today's video will give you a step-by-step tutorial for creating your own Interactive Birthday Cake. Watch as Stephanie shows you not only how to build the cake (yeah, I had to watch this video to figure it out), but also how to create the slider mechanism. Watch the video below or click here (MFTv - Interactive Cake with the Twice the Wishes Card Kit) to watch it on YouTube. Don't forget to subscribe to our YouTube channel so that you don't miss a single tutorial! 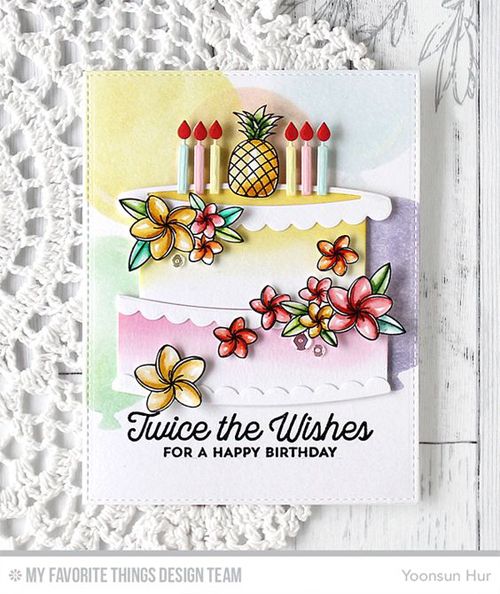 Let's take a look at few more examples of what you can do with the Twice the Wishes stamp set and Interactive Birthday Cake Die-namics! Jody goes BIG and stacks the lower portion of the Interactive Birthday Cake Die-namics five times for a tall birthday cake on a long card! What an impact! 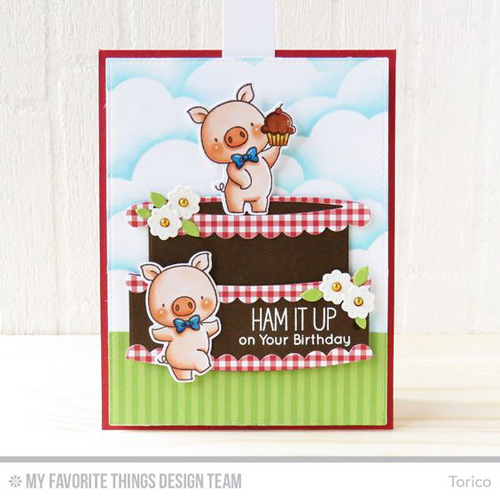 Torico goes super fun and cute incorporating two cute piggies from the Hog Heaven stamp set on her dreamy chocolate cake. Yoonsun creates a tropical cake with the Polynesian Paradise stamp set. I can almost taste the delicious pineapple! Note: Available tomorrow for separate purchase are the Twice the Wishes stamp set, Interactive Birthday Cake Die-namics, Sweet Celebration 6x6 Paper Pack, and Slider Elements that Stephanie used in today's video. You will LOVE creating inventive interactive designs with products from My Favorite Things. Be sure to tag #mftstamps when you post your projects online. We can't wait to see what you've made! Great cards! I missed the card kit and have been waiting for the individual releases. Adorable interactive card! Makes a perfect birthday card!